→HomeJobStop – Scam or Good Work at Home Jobs? HomeJobStop – Scam or Good Work at Home Jobs? 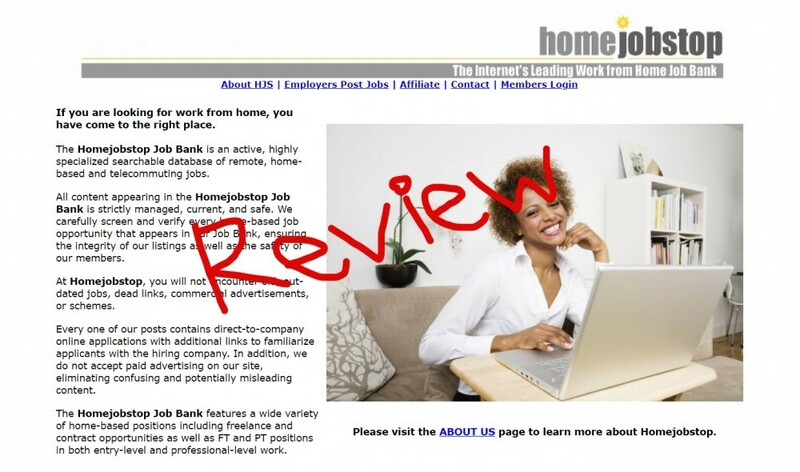 HomeJobStop claims to be “the internet’s leading work from home job bank”, but is it really? Is this place going to provide you with awesome work at home opportunities or is it just going to be one of those job sites that tries to sucker you into online scams and moneymaking schemes? Is HomeJobStop a scam? It is not like this is out of the question to ask… After all I have come across other work at home job search scams before in the past, like My Survey Jobs for example. But anyways… I’ll get straight to the point here and tell you that No this place is not a scam. That said, it might not be what you are looking for and in this review I hope to give you a better understanding of what this place provides and what types of jobs you can find here. On the website they state that they are a highly specialized searchable database for work at home jobs, that they screen all jobs to ensure everything is safe. They do not promote commercial advertisements or schemes. Different opportunities you can find here could be freelance, contract, part-time or even full time positions. It all sounds good and the website looks pretty professional at first glance, but the reason for my initial suspicion is the fact that I have seen similar types of scams in the past, and also that subscription is being sold at a “limited time” special discount of only $18… And is being sold on ClickBank which is well-known for online scams. So when you buy a membership for this place you simply get access to their database of different work at home remote opportunities. Many of these opportunities are ones where you can apply to work for companies online, although there are also freelance opportunities you will come across as well. What you will not find here is opportunities to make money online where you have to buy into some training program and pray that you make money. While some of the jobs are freelance, which means that you will “write here own paycheck” so to speak, any of them are jobs where you will get regular paychecks that you can count on. In particular there seems to be a lot of telemarketing type of jobs, which I guess I would expect. I’m not exactly sure how they go about finding the many different work at home jobs but it seems that the people (or single person) behind this site goes out and find jobs that are worthy of posting, in addition to employers being able to submit work at home opportunities. One thing that may deter you from joining this website is the cost. Now why would they be charging you to find work at home jobs? I knew $18 isn’t much, but it still requires you to get out here wallet and enter here credit card information, which means that there is risk involved. Well… The people providing this service certainly are not working free and it makes complete sense why they would be a cost like this. After all, they do not make any money from ads or promotions. 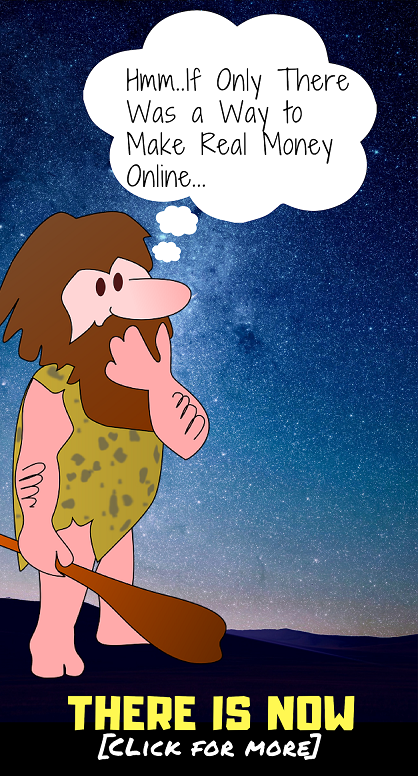 Now you may be thinking to yourself, why not just go out and use a free job-search database, like Monster Jobs for example?… This is an alternative that you could use, but the downside here is that it may be a lot more overwhelming and less vetted. If you read reviews for HomeJobStop online you will find good and bad, as you would expect for just about anything. I have read some reviews from people praising it, saying that this site helps them in times you need to and provide them opportunities to make money online when they lost their job, got laid off, etc. I’ve heard stories of people finding pretty decent online jobs here. But on the flip side there are also a lot of negative reviews… Reviews from people claiming that many of the different work at home job links are expired and that the site is not being kept up to date very well. Overall there seems to be a lack of maintenance and staff working behind the scenes on this website, which would explain why one person was frustrated after the site was down for months on end for maintenance reasons. When it comes to websites and online businesses like this, it is hard to know what exactly is going on in the background. I definitely do not see any signs or proof of this being a scam. As mentioned in the beginning of my review, I was suspicious when I first landed on the website just due to past experiences, but after looking into everything seems to be legitimate. It might not be the best work at home job database, but it is not a scam either. This really all depends on what exactly you are looking for. There are plenty of different work at home opportunities that you might find on this database but overall it seems to be small staffed and I wouldn’t consider it to be the “leading work at home job bank” as they claim to be. If you are thinking about buying into it I’m not going to stop you. It is only $18 and you don’t have to worry about getting scammed. Also, although this is being sold through the ClickBank marketplace, which I mentioned earlier I don’t really care for, they do have a good refund policy where you could get here money back within 60 days if you are unsatisfied for some reason. Since you are looking for a work at home opportunity something else you might be interested in is how I make a living working online. Basically what I do is create small blog-style websites (not difficult) and monetize them in a variety of ways. The benefits of this type of work are that can be here own boss, set here own schedule, and there is plenty of income potential. If interested check out how I went from $0 to over $6,000 a month doing this.